Robin F. Erickson, 57, of West Salem and formerly of Sparta, died Saturday, October 13, 2018 at her home. She was born on August 13, 1961 in Sparta to LeRoy and Carol (Storandt) Erickson. Her grandchildren were her greatest gift and provided her the most joy in her life. 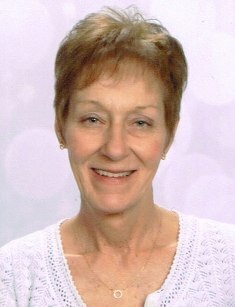 Robin is survived by her daughter, Lindsey (fiance, Orion Kiesch) Erickson of Madison; grandchildren, Elijah Williams of Sparta and Hazel Erickson of Madison; siblings, Rick Erickson of Sparta, Ronda (Paul) Lavold of West Salem, Ryan Erickson of Sparta, and Lee (Tina) Erickson of Tomah; nieces, nephews, other relatives, and friends. She was preceded in death by her parents, LeRoy and Carol; and brother, Ray. A graveside memorial service will be held at 1 p.m. on Wednesday, October 17, 2018 at Woodlawn Cemetery, Sparta, with Reverend Jason Shockman officiating.